Jim Canfield (Glen Ford) is a man wrongly accused and convicted of a crime he didn’t commit. Jim along with several other men escape a prison in Nevada. Jim is determined to kill the man who falsely testified against him in court. Jim leads the criminals to a small community in the mountains. When they arrive the convicts discover the men of the town are gone, leaving the women alone. The men want food and shelter and they have a young man sick with a fever. 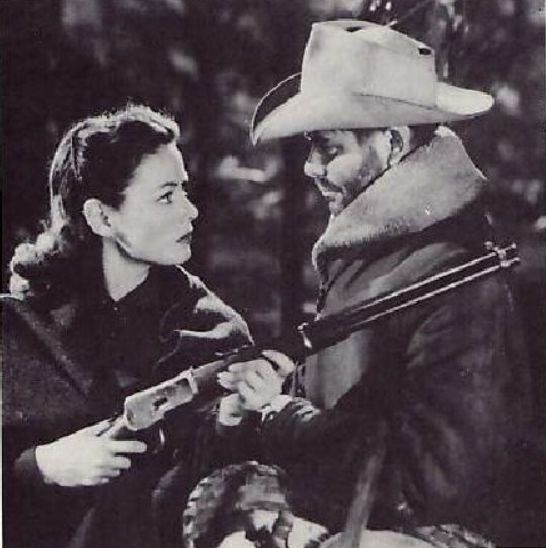 Jim soon finds himself in love with the fiancé (Gene Tierney) of the man he wants to kill. He also realizes the women need to be protected from his cutthroat companions. The situation becomes tense and it gets complicated as the husbands return home. There was a shoot out and they were all bad shots! Those guys couldn’t shoot the side of a barn at ten paces! It was a good story though. I liked it.